Post has been suspended following new information -it will be amended shortly.. and posted again. GSK Bribery Scandals : How About Just Saying Sorry? GSK Corruption and Criminality Has Been Going On For Decades.. The following are but a small sample..
[Satanic is the only word that does justice to this outfit (see Lucifer symbol over Wellcome building, below), one example: After their Trivirex MMR vaccine was withdrawn as dangerous in Canada, in 1988, they managed to get it on the UK market with a government indemnity, under another name: Pluserix (see MMR timeline). When that had to be withdrawn they then sold it to the third world (causing an outbreak of meningitis in Brazil), while they have done their best to suppress the fact it caused autism and bowel disease, along with the present MMR vaccines. Sir Nigel Davis, who dismissed the appeal over the removal of funding for the MMR litigation by the Legal Services Commission, was the brother of Lancet proprietor Crispin Davis who at the time had also recently become a non-executive director of Glaxo SmithKline. The Times group (whose CEO is James Murdoch, appointed in 2009 a non executive director with GlaxoSmithKline) through it’s journalist Deer, is leading the attack on Dr Wakefield that culminated in the GMC Kangaroo court. What is not commonly known is that the developers of the “dye”, Kodak, knew it would cause CIAA before they licensed it (May 1944).Today, there are 80 medical conditions or symptoms that have been recognised as a “cause or effect” of exposure to this “too toxic” chemical dye (NIH, 1994). Many of the drugs now used to treat these secondary conditions or symptoms of CIAA have been developed or patented by those who developed the original formula (for some, with slight changes of said formula; later, for instance, Myodil by GlaxoSmithKline). I will go on the record to state the following: the developers of the diagnostic radiographic contrast medium knew before they applied for an NDA (new drug application) that it would cause arachnoiditis, and furthermore were aware of some of the other found reactions to this “dye” that were also not reported to the authorities. On the 19th September 1988 Glaxo notified the Department of Health that Myodil was to be discontinued in the UK for commercial reasons, but they wished to retain the product licence issued in June 1987 as the product was not being discontinued worldwide. Myodil is thus still manufactured and sold overseas – it has found new markets in countries that are vulnerable to the marketing strategy that made Glaxo one of the largest pharmaceutical companies. “Friends of Children Fund” Annual Report, July 1, 1996 – June 30, 1997, indicates $2.085 million in funding from corporations. Donors include Procter & Gamble, Gerber, Infant Formula Council, McNeil Consumer Products Company, National Cattlemen’s Beef Association, Johnson & Johnson Consumer Products, Abbott Laboratories, Wyeth-Lederle Vaccine & Pediatrics, Mead Johnson Nutritionals, SmithKline Beecham Pharmaceuticals, Schering Corp., Rhone-Poulenc Rorer, Food Marketing Institute, Sugar Association, International Food Information Council, Merck Vaccine Division, and others. Also gets foundation support (RWJ, Pew, etc.). and very much appreciated writing..
GlaxoSmithKline [$GSK] says it’s rolling out sales and marketing reforms around the world. Apparently, the changes come none too soon. The British drugmaker opened another bribery investigation, this time in Iraq, to check out allegations that it paid government-employed physicians to promote its products. And Glaxo hasn’t yet finished working through the scandalous Chinese bribery allegations that kicked off an industry-wide corruption crackdown. So, CEO Andrew Witty and his team sound a bit … conflicted. On the one hand, Witty sounds the perfectly contrite corporate leader. He apologized for the marketing allegations that ended with a $3 billion Department of Justice settlements. He’s promised good behavior and touted those worldwide sales reforms. But on the other, the company is digging into at least two sets of corruption accusations, and faces related repercussions at home and in the U.S. Two bribery probes in two different geographic divisions? That’s a systemic problem. When the Chinese bribery scandal hit, Glaxo’s U.K. headquarters was quick to say that head-office executives didn’t know about any malfeasance in its China subsidiary. That may be so. But if HQ didn’t know, that means HQ was either turning a blind eye or failing to pay enough attention. Either way, that’s not a good thing for a company trying to clean up its image. If Witty really wants to reform GSK, then he and his top managers need to move beyond plausible deniability. They can’t just launch new quota-free sales-rep compensation and promise to stop paying speaking fees to doctors in the U.S. and beyond. Painful follow-through has to happen. We need to see Glaxo execs take out their brooms, and move into global operations to sweep out misbehavior. If they don’t, whistleblowers and government investigators will. And that makes all those the sales-and-marketing changes look like little more than window-dressing. Two scientists are raising concerns about an article in a medical journal that described experimental treatments for depression because an author did not disclose his significant financial ties to three therapies that he mentioned favorably. The executive editor of the journal said it had not required disclosure of the potential conflicts, but was considering changing its policy in light of the criticism. The ties between pharmaceutical companies and researchers have come under increasing scrutiny in recent years. Charles Nemeroff, one of the nation’s most prominent psychiatrists, edits the journal Neuropsychopharmacology, which this month favorably reviewed a controversial new treatment for depression. But Tuesday, the journal said it plans to publish a correction because it failed to cite the ties of the article’s eight academic authors to the company that makes the treatment, including the article’s lead author: Dr. Nemeroff. His excuse that second time – clerical error. It didn’t work so well as the first one and he decided to step down as editor shortly thereafter. We can thank Drs. Bernard Carroll and Bob Rubin for both of those exposures. They came early and got the ball rolling. The investigations of Senator Grassley and Paul Thacker came next, and then the epidemic of suits against the Pharmaceutical companies with the release of enough incriminating documents to convince any doubters. So we’re now veterans of ten years learning that plausible deniability simply equaled a lie, and we’re not likely to buy such things anymore, almost by reflex. I was a retired person before I was capable of believing that Doctors, Academic Department Chairmen, and Pharmaceutical Companies named after long-dead men with handle-bar mustaches were capable of the kind of deceit we’ve all seen in recent decades – but our naivety has given way to, at the least, a careful suspiciousness, even paranoia about such matters. And GSK has placed itself in a goldfish bowl that’s going to be hard to escape. The Serious Fraud Office has launched an investigation into allegations that a number of major UK-based firms paid bribes to Saddam Hussein’s regime in Iraq. The firms being targeted include the drug giants GlaxoSmithKline (GSK), AstraZeneca and Eli Lilly. The drugs company, which has been the almost exclusive supplier of medicines and vaccines to Iraq’s ministry of health for over 20 years, is setting up a manufacturing base in the country. The agreement with local firm Modern Drug Industries will see GSK medicines packaged and manufactured at their Baghdad facilities. With an increasing number of international pharmaceutical companies vying for business in Iraq, GSK hopes that establishing a secondary local manufacturer will provide a significant advantage when competing for tenders in future. GSK said producing drugs closer to the customer would improve their cost base and enable them to sell products on at an “access price”. The company said it also has plans to open its first private business in the country since the invasion by year-end and will be hiring a “significant number” of local staff. Iraq remains a dangerous place to live and do business due to ongoing violence and political instability. But that isn’t stopping impatient investors anxious to take part in the nation’s rebuilding. GlaxoSmith Kline (GSK), Britain’s largest pharmaceutical company, has signed an agreement with Modern Drug Industries, an Iraqi company, to manufacture and package drugs in Baghdad. 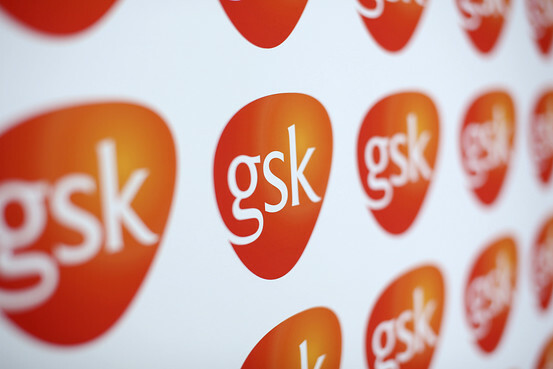 GSK has been the Iraq Ministry of Health’s main supplier of vaccines and other medicines for more than 20 years. Now GSK plans to be the first pharma giant to enter the Iraq market since the 2003 invasion. Napa, CA – Harrington Investments, Inc. (HII), a socially responsible investment (SRI) advisory firm, announced today that it has divested from GlaxoSmithKline (GSK) stock. In a letter to GlaxoSmithKline CEO, Jean-Pierre Garnier, Harrington listed six points of concern with the company, including investigations for shady business dealings with Saddam Hussein, improper marketing of anti-depressants, and tax avoidance. The letter also cited GSK’s inability to address the concerns of animal rights activists and its resistance to providing affordable AIDS drugs to developing countries. Like many SRI firms, HII proactively avoids, or ‘screens out,’ stocks of corporations with significant negative environmental, social, and/or corporate governance (ESG) issues. Once it decides to purchase shares in a company, HII generally tries to work with corporate management to improve ESG performance. HII’s divestiture of GSK stock is a reaction to corporate management’s consistent failure to address important investor fiduciary concerns. GlaxoSmithKline GSK.LN -1.51% PLC is investigating allegations of bribery by employees in the Middle East, according to emails reviewed by The Wall Street Journal, opening a new front for the company as it manages a separate corruption probe in China. A person familiar with Glaxo’s Mideast operations emailed the U.K. drug company late last year and earlier this year to report what the person said were corrupt practices in Iraq, including continuing issues and alleged misconduct dating from last year and 2012. The emails cite behavior similar to Glaxo’s alleged misconduct in China, including alleged bribery of physicians. Chinese authorities last summer accused Glaxo of bribing doctors and since have been investigating the company. China said last July that it had detained four of Glaxo’s senior Chinese staff, but none has been charged. Glaxo says it appears that some its senior staff in China may have broken the law and that it is cooperating with the investigation. The company has cut some staff in China in connection with the inquiry, a person familiar with that matter said. Glaxo said it takes all of the allegations seriously and started investigating the Iraq matters as soon as it became aware of them. The investigations are continuing. The person familiar with Glaxo’s Mideast operations emailed the company saying, “I believe GSK practices in Iraq violate the FCPA and the U.K. Bribery Act.” The U.S. Foreign Corrupt Practices Act addresses bribery of foreign officials by U.S. businesses or foreign corporations trading securities in the U.S. In an email, the person said Glaxo hired 16 government-employed physicians and pharmacists in Iraq as paid sales representatives for the company while they continued to work for the government. A government-employed Iraqi emergency-room physician has prescribed Glaxo products, even when they weren’t in the hospital’s pharmacy and a competitor’s brand was in stock, an email from the person said. Glaxo has been hiring government-employed Iraqi doctors as medical representatives and paying their expenses to attend international conferences, the person alleged in the emails. Glaxo pays other doctors high fees to give lectures in exchange for promoting and prescribing its drugs, the allegations continued. The emails to Glaxo said that the person planned to share the information with the U.S. Justice Department and the Securities and Exchange Commission. The agencies declined to comment. A new whistleblower program at the SEC, established in 2010 with the passage of theDodd-Frank financial-reform act, provides cash incentives for employees to report securities violations, including breaches of the FCPA. If the SEC gets involved and finds wrongdoing after a whistleblower complaint, the person stands to gain as much as 30% of any monetary sanction the agency recovers. Glaxo has disclosed in SEC filings that the Justice Department has been investigating the company since 2011 as part of an industrywide bribery probe into pharmaceutical companies. It was unclear if the Justice Department is investigating the allegations in China or those raised by the person in the Mideast. Glaxo responded to the emails, saying the allegations were being taken seriously. “Our collection and analysis of data continues and the scope of the investigation now covers several countries and business units” in the Gulf and Near East region, said a March 13 email from Glaxo’s head of compliance investigations to the person. The Glaxo region includes the nine countries of United Arab Emirates, Qatar, Bahrain, Oman, Kuwait, Lebanon, Syria, Jordan and Iraq. The drug maker has zero tolerance for unethical or illegal behavior, has strict controls in place globally with regard to compliance matters, bribery and corruption, and takes the allegations seriously, Glaxo said in a statement to the Journal. Glaxo has reinforced governance requirements in Iraq, including those covering payments to doctors and travel agencies, provision of samples and processes around public-tender submissions like the awarding of government vaccine contracts, the statement said. The company has also put a temporary stop to all interactions between Glaxo and government officials in the region, “to ensure any activity is in compliance with our policies and procedures,” Glaxo said. Glaxo said in December that it was stopping all payments to doctors to attend conferences or speak about its drugs—a policy it expects to be in place globally by 2016.